Thank you for stopping in! We're pleased to present the first website for the Michigan Hoosier Company. We've been blessed to have had our cabinets featured in several national magazines (see magazine link on the home page), local and regional newspapers, and a nationally broadcast PBS television show. We were even asked to have our cabinets in a movie (The Green Mile with Tom Hanks) and we're very excited about sharing our cabinets with the world via the Internet! 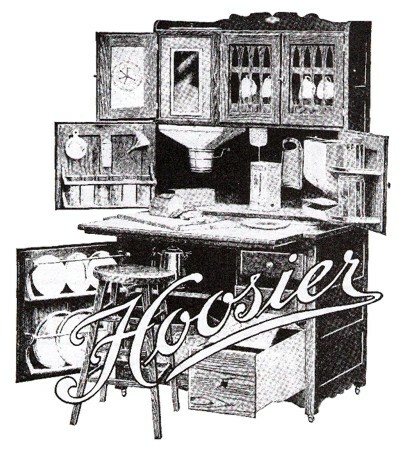 Established in 1994, the Michigan Hoosier Company is a family owned and operated cabinet building business that specializes in crafting beautiful Hoosier reproductions with all the wonderful features and options so popular in the early 1900's. From brass ant traps, leg skirts and wooden casters to authentic porcelain tops, tin flour and sugar bins and carousel spice racks - the list goes on and on and we have them all! Sit back and enjoy our site! If you don't see exactly what your looking for please give us a call as we can probably custom build it for you! Home | About Us | Standard Features | Optional Features | Side Cabinets | Table | Custom Hoosiers | Magazine Articles | Custom Woodwork | Contact Us | Order Info.